This emerging and multidisciplinary research group focuses on how manufacturing can become more resilient at the factory, supply network and industrial system levels. By investigating the relationship between products, processes and location, we aim to identify and evaluate risk, develop mitigations, and build resilience in a wide range of industrial sectors but with particular focus on the food sector. We work closely with industry – including Nestlé – and academic institutions in the UK, US and India. 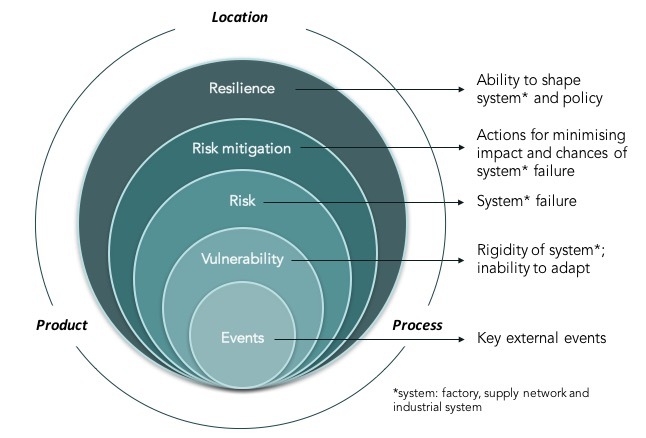 Understanding the key characteristics and vulnerabilities of factory operations, evaluating the financial risk and developing strategies to mitigate the risk and systems to monitor ongoing resilience. Example project: Managing risk in plant investment projects across multiple sectors, funded by EPSRC. Addressing supply network risk and resilience through the mapping of supply networks. By linking event data and network structures we can identify vulnerability and risk and develop resilience capability by changing product, process and location. 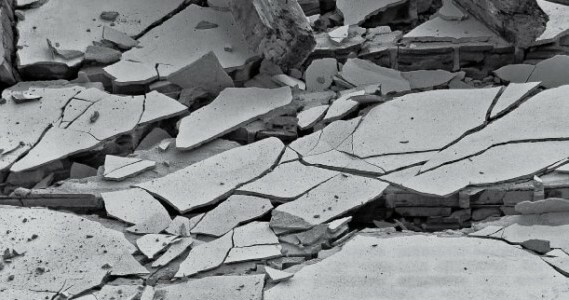 Focusing on risks (such as sustainability, inclusive manufacturing and jobless industrial growth) that not only affect a factory or a supply network but an entire industrial system involving primary stakeholders, sector stakeholders, product focused supply networks and industrial actors at national or global levels. Example project: Sustainability of UK-India food industry systems, funded by UKIERI. Investigating digital technologies to link operational activities and decision-making (strategic, tactical and operational) in real time by focusing on data archetypes and analytical tools to develop industrial system visibility, transparency and product traceability. Example project: Building sustainability and food safety resilience in the global food system, funded by EPSRC-DTP-Nestlé.